On February 10, Fengtao Software, the industry leader in the field of DVD, Blu-ray and video backup solutions, joined the 2017 Valentine’s Day celebration, offering a store-wide 25 percent coupon on all its shareware products; except for the DVD creator software, which enjoys an exclusive 40 percent deep discount. The promotion starts today, and closes on February 27, 2017.
eNewsChannels NEWS: BEIJING, China — On February 10, Fengtao Software, the industry leader in the field of DVD, Blu-ray and video backup solutions, joined the 2017 Valentine’s Day celebration, offering a store-wide 25 percent coupon on all its shareware products; except for the DVD creator software, which enjoys an exclusive 40 percent deep discount. The promotion starts today, and closes on February 27, 2017. Valentine’s Day is a romantic day for lovers or couples to enjoy their personal time, and to express their deep love to each other. To join its customers celebrating the oncoming special holiday and show its deepest gratitude, Fengtao Software has decided to offer a 25 percent decent discount on all its products, including the reputable Blu-ray ripper software that can rip Blu-rays into portable and mobile device ready videos for playback on the move, Passkey software, media player software, and also the Data Care series containing the Windows-based PC backup software and the iOS data recovery software iFoneRestore. The discount works on both the Windows and MacOS versions. Moreover, if you have diversified demands on copying and ripping DVDs/BDs, converting videos and authoring homemade DVDs/Blu-rays, then the DVDFab All-In-One Lifetime Gift might be your best shot. This all-inclusive solution package covers all the lifetime versions of DVD Copy, DVD Ripper, Blu-ray Copy, Blu-ray Ripper, Blu-ray to DVD Converter, DVD to Blu-ray Converter, DVD Creator, Blu-ray Creator, Video Converter, and CinaviaRemoval HD. In the meantime, buying this bundle can also get a $20 Amazon Gift Card for free. Please be aware that the discount works until Feb. 27! The storewide 25 percent is not the only special offer customers can enjoy during the promotion. They can get a maximum discount of 40 percent off if they buy the DVD creator software, which actually might be a perfect gift for Valentine’s Day, because if they want to preserve some important videos, for example, their precious videos made on Valentine’s Day, for a long time or permanently, this product can help them convert nearly all videos in popular formats into standard DVD discs, DVD ISO files or DVD folders with astonishingly good quality. With a 40 percent discount, it could be a very exceptional chance to get this DVD authoring tool at such a bargaining price. If it interests you, make sure to get the deal done before the promotion closes on Feb. 27, 2017. For the detailed terms and conditions of DVDFab Valentine’s Day Promotion, please refer to http://www.dvdfab.cn/promotion.htm/. Fengtao Software Inc., a professional multimedia software provider, has been dedicated to working on DVD cloner, DVD copy, Blu-ray copy, DVD ripper, DVD/Blu-ray conversion, video converter, DVD creator, Blu-ray creator, Blu-ray media player, etc. 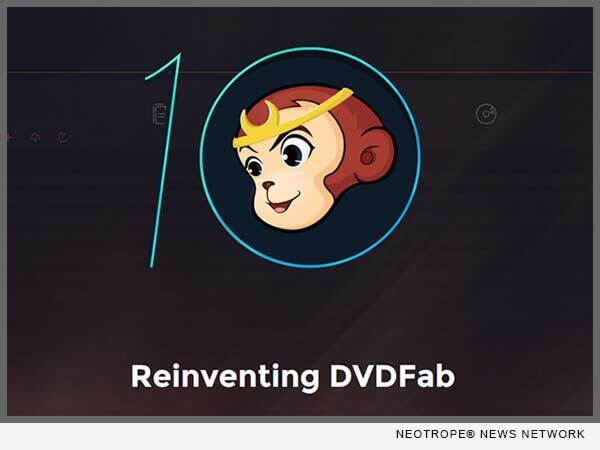 for more than 11 years with its well-known DVDFab software. It has more than 80 million global users. More information at: http://www.dvdfab.cn/.